The Doctor of Philosophy (Ph.D.) is a research degree and is granted on evidence of general proficiency, distinctive attainment in a special field, and particularly on ability for independent investigation as demonstrated in a dissertation presenting original research with a high degree of literary skill. The Doctor of Education (Ed.D.) degree is offered for students who desire advanced professional training and academic preparation for the highest levels of educational practice. Funding Opportunities: Prospective doctoral students are encouraged to learn more about various sources of financial support. Transfer of Credit: All courses transferred in to any doctoral program must directly relate to the degree being sought. Acceptance of transfer of credit requires approval of the student’s supervisory committee and the Dean of the Graduate School. Courses and Credits: No courses numbered 1000-2999 may be used as any part of the graduate degree requirements. Courses numbers 3000-4999 MAY be used for MINOR credit when taken as part of an approved graduate program. A minor cannot be in the same department as a student’s major. Full-time students not on a graduate assistantship must register for a minimum of 12 credits. The maximum credits is 18 but is not recommended. Research Requirements: All doctoral students in the College of Education must meet the College Research Requirements. Students admitted after fall 2004 must comply with these College of Education minimal research requirements. Time Limits: All work must be completed within five calendar years after the qualifying examination or that examination must be repeated. Admission standards are set by the Graduate School of the University of Florida, the College of Education, the School of Teaching & Learning, and the program area to which you are applying. This web page provides you with the Graduate School, College of Education, and School of Teaching & Learning minimums. You need to carefully check your program area web page to see the specific admission requirements for that area. GRE: An acceptable score on the General Test of the Graduate Records Examination (GRE). We will consider applications from individuals who have acceptable scores on both the verbal and quantitative sections. We holistically evaluate all applications, and the score on the verbal and quantitative sections of the GRE are considered data points of information about the applicant. Statement of purpose: Explain why this degree would enable you to meet your career goals and how this specific doctoral program in the School of Teaching & Learning at UF enables you to best reach these goals. Every program area admissions review committee evaluates applicants’ folders holistically. Each piece of data included in your admissions folder is considered one data point and we carefully look at all of the evidence before making an admissions decision. Again, please note that the requirements here are the minimal requirements. You should explore your program area for additional admission requirements for the doctoral degree (Ed.D. or Ph.D.). Please make sure to have your admissions materials into the School of Teaching & Learning by the posted deadline. Method A: The online application process allows you to enter in the names and email addresses of 3 people. This will trigger an electronic system to send electronic forms to these individuals. All the person providing your recommendation has to do is complete the form and hit the submit button. Method B: If you would like to provide your references with printed forms, you can do that as well by downloading the recommendation form. 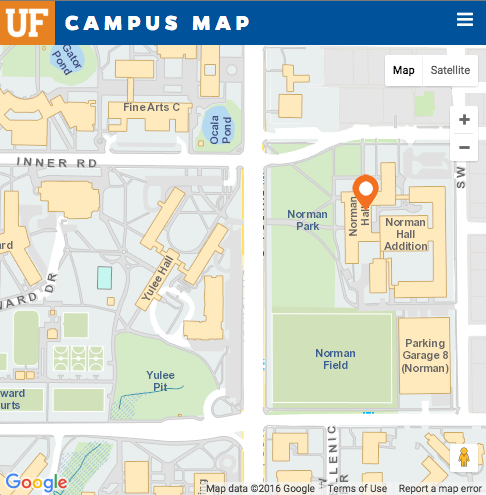 NOTE: If you have previously 1) earned a graduate degree from the University of Florida or 2) been admitted to the UF Graduate School, you should complete the UF Graduate Readmission Form instead of the Online Admission Form. The Readmission Form is ONLY to be used by applicants who have were previously enrolled in a Graduate Program at UF. You still need to submit your statement of intent and letters of recommendations to the School of Teaching & Learning. Submit all transcripts from institutions of higher education to the UF Office of Admissions (P.O.Box 114000, 201 Criser Hall, Gainesville, FL 32611-4000, USA). These must be official copies from the institutions of higher education. If the original transcripts are not in English, you also need to send an English translation. Submit acceptable GRE scores. 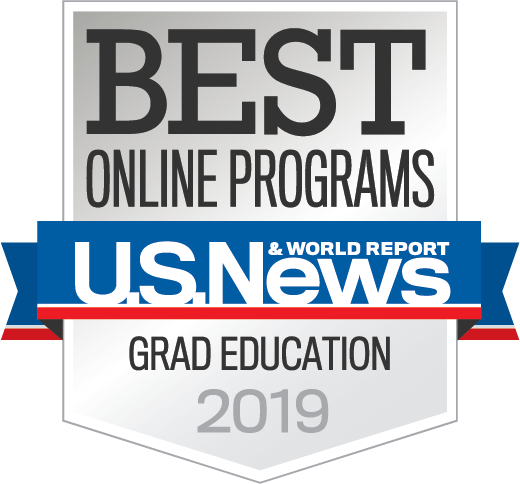 Please make sure to have ETS send your official GRE scores to the University of Florida (code 5812) and select “Curriculum and Instruction” as the department code. For international students: You may submit either TOEFL, IELTS, or MELAB scores. Check to see if you are exempt from taking the TOEFL. Here are the minimum scores considered for admissions: IELTS: 6, MELAB: 77, TOEFL (computer):213, TOEFL (Internet): 80, and TOEFL (paper based): 550. Submit an example of your academic writing. This could be several chapters from your master’s thesis or several of your scholarly papers. Submit a current vitae or resume. 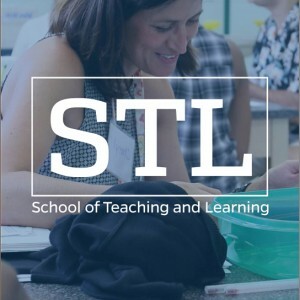 Submit an application for a Doctoral Fellowship or STL Assistantship. Explore financial aid options and apply for any appropriate for your situation. Applicants to the Ph.D. program in Teachers, Schools, and Society (TSS) should complete the additional requirements described on the program website. All students in Ph.D. and Ed.D. programs in the School of Teaching & Learning must observe the following minimal requirements. Please note these are minimal requirements and doctoral committees can require additional credits/tasks. At least 90 hours beyond the bachelor’s degree. Note that many program areas require more an 90 hours. Successful completion of written and oral qualifying examinations. Successful proposal and defense of doctoral dissertation. Coursework in the following areas. Please note these are minimums in each area and will NOT total the number of credits needed in the doctoral degree. Dissertation Research (12 credit hours): You can not count more than 24 credit hours of dissertation research on your doctoral program of study.